Clear Story’s creative professionals are also working artists with training and experience in a wide range of disciplines from architecture and sculpture, to film and photography, to theatre and performance. When designing and directing fine art and historical exhibitions, Clear Story’s cumulative artistic practice enables the firm to comprehend and conceptualize the project’s aesthetic dimensions and context, as well as the special handling and careful treatment required of artwork and historical artifacts. Explore the projects below to learn more about Clear Story’s unique approach to designing fine art and historical exhibitions. During construction of Three PNC Plaza in Downtown Pittsburgh, an extraordinary collection of artifacts was discovered. The artifacts dated to the city’s pre-industrial days. Clear Story designed, curated, and installed a comprehensive exhibit of these historical artifacts. Clear Story conceived an exhibit design that emphasized the historical relationships between exhibit contents and the stories they told. Through thoughtful visual arrangement of individual artifacts and groups of items, Clear Story created a thematically cohesive presentation that drew connections between the historical inhabitants of the site and its current occupants. Clear Story worked together with archaeologist Christine Davis Consultants and Forecast Design/Build to make this project a success. Clear Story’s leadership of this project produced a rich and textured experience for visitors and guests of the Fairmont Hotel that subtly communicated the client’s commitment to responsible urban development. The success of the Fairmont project provides the best representation to date of Clear Story’s sensitive approach to designing historical exhibits in a contemporary architectural setting. Following the successful completion of the artifact display at Fairmont Pittsburgh, Clear Story collaborated with the New York and Boston offices of Gensler, and with the PNC Legacy Project Curator, to develop designs for the Bank of Presidents exhibit at PNC Place in Washington, DC. Working within the architectural parameters of the Gensler team, Clear Story developed display strategies and designs for a rotating exhibit of historical documents from the collection Riggs Bank. 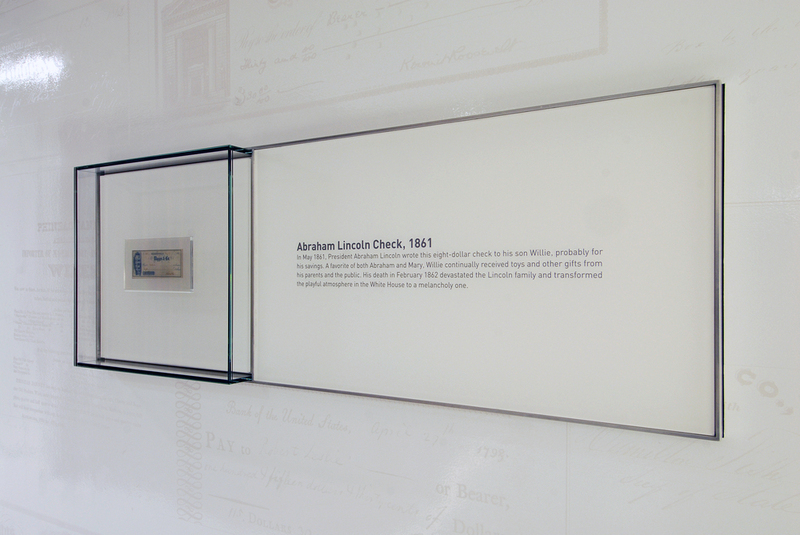 Comprising two- and three-dimensional artifacts including presidential checks, personal correspondence, and antique currency notes, the Bank of Presidents exhibit offered an opportunity for Clear Story to further develop its design practice for exhibits requiring specific conservation considerations. After reviewing the building’s daylight management and lighting control systems, Clear Story recommended a rotating artifact display to limit their durational exposure to natural and artificial light. Working with the project curator and conservation specialists, Clear Story determined the appropriate conservation strategies for these sensitive documents. Clear Story and its fabrication and installation team oversaw the implementation of all conservation recommendations. Clear Story incorporated passive microclimate control systems into the cases and coated all interior components with a no-VOC finish to create stable display conditions for the artifacts. As a part of the PNC Place project, Clear Story collaborated with Potion and Forecast to design and build a custom cabinet to house an interactive display of artifacts from the Riggs collection. The unit, installed in the branch bank at PNC Place, features three flat screen LCD monitors, a touch sensitive film applied to glass, and a modular graphic signage system for display rotation. The functional highlight of the system is a 275-pound door that allows building engineers access to the many interior electronic components. This unique engineered cabinet satisfied all functional and aesthetic requirements of the project and was designed, built, and installed within a demanding timeline. In 2008, the Children’s Museum of Pittsburgh commissioned Clear Story to create a free-standing exhibit structure for Stories of Children, a portable indoor/outdoor display featuring stories and imagery made by five student photographers. The exhibit also featured portraits of the five students created by Pittsburgh-based photographer, Mark Perrott . Clear Story directed conceptual design for Stories of Children, working with text authors and graphic designers to develop designs that would seamlessly integrate the visual, textual, and graphic elements while staying consistent with the aesthetic and thematic concepts championed by The Children’s Museum. Clear Story also developed a color palette appropriate for and engaging to an audience of children and families. Beyond the visual design, Stories of Children required the integration of large-scale photographic prints, text, and graphic design elements into a modular exhibit structure suitable for display in a variety of settings. Based on the spatial limitations of the project, Clear Story designed a fully-enclosed space in which viewers could immerse themselves in the comfortable and welcoming world of children. The structure was engineered and fabricated to be free-standing and easily transportable. 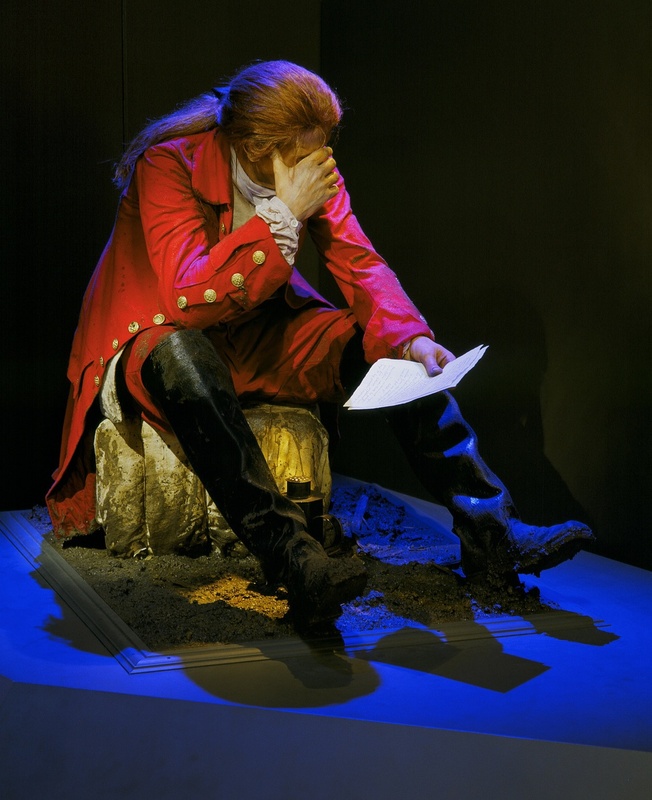 Clear Story created the exhibition lighting design for Clash of Empires: the British, French & Indian War, 1754–1763, a large-scale and multi-dimensional exhibit featuring historical artworks, artifacts, textiles, and life-size recreations of historical characters. Developed and debuted at the Heinz History Center in Pittsburgh, the exhibit traveled to the Canadian Museum of Civilization in Gatineau, Quebec and the Smithsonian Institution in Washington, DC. Lighting Clash of Empires required Clear Story to balance competing demands of presentation and preservation. The conservation requirements of the textiles on display demanded very low light levels for direct illumination, as well as diligent management of light trespass from the surrounding lighting instruments. To achieve an effective exhibit presentation while preserving the materials on display, Clear Story worked with the exhibition conservation team to determine the acceptable light levels for these sensitive pieces and manipulated the existing facility fixtures to produce the desired effects. During 2006 and 2007, Rob Long and Clear Story collaborated with award-winning photographer Lynn Johnson to create a free-standing, mobile exhibition environment for From Intolerance to Understanding, a photography exhibit presenting an expansive collection of photography documenting the personal histories of hate crime victims and society’s continuing aspirations for tolerance. Working closely with the artist, Clear Story reviewed the graphic treatment of exhibit visuals and text, contributed to key design decisions related to the structural presentation of the exhibit, and provided oversight during the integration of visual and structural exhibition elements. After developing conceptual and structural guidelines, Clear Story designed and fabricated the photographic display system to create an intimate, protective space in which the audience could make a connection with the visual images and text. In 2006, New York based publisher Umbrage Editions engaged Clear Story to design and fabricate Speak Truth to Power, a traveling exhibit showcasing photographs of renowned (and relatively unknown) human rights defenders by the Pulitzer Prize-winning American photographer Eddie Adams. 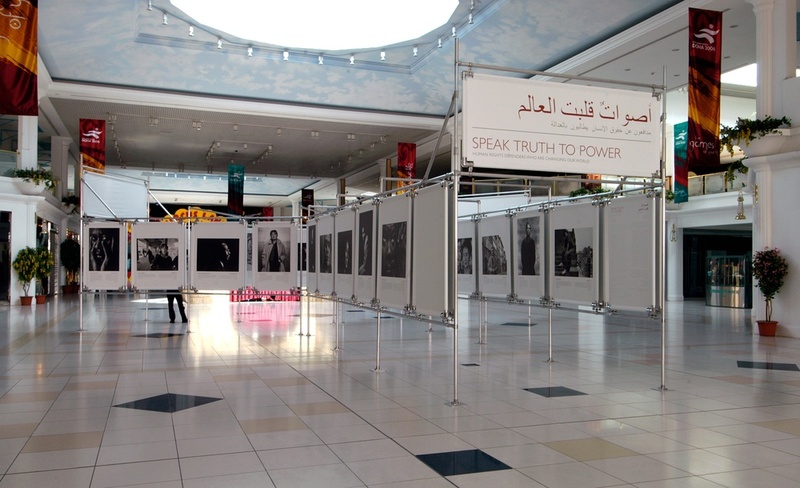 The exhibit, which premiered in Doha, Qatar as part of the Reach Out to Asia gathering in support of human rights, included more than 50 large-scale black and white portraits, included accompanying Arabic and English text taken from interviews with the subjects conducted by Kerry Kennedy of the Robert F. Kennedy Center for Justice and Human Rights. Clear Story developed the conceptual presentation and graphic design standards for the exhibit, developed a working design template for the imagery, and designed and fabricated a modular aluminum support structure that integrated the photographic and textual elements of the exhibit. All print production, metal fabrication, and partial assembly was completed by Clear Story’s “micro-local” collaborative team in Pittsburgh, and then packed into custom-built crates and shipped to the Middle East. Clear Story specialists traveled with the exhibit to assemble the first installation of the exhibit. The exhibit was seen by more than 20,000 visitors in Doha, and several of the subjects, as well as Kerry Kennedy, attended the opening dedication ceremony.